Levi Jones buys a horse. Levi H. Jones signed a promissory note for $20 for the purchase of a horse from Williams & Dawes. 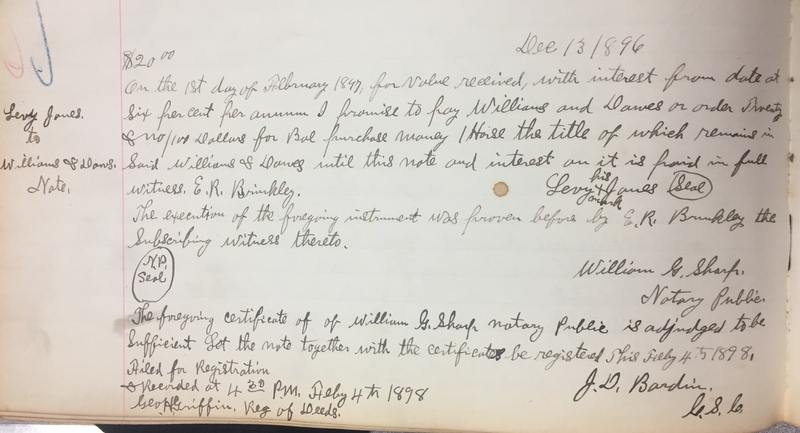 Deed book 46, page 232, Register of Deeds Office, Wilson.